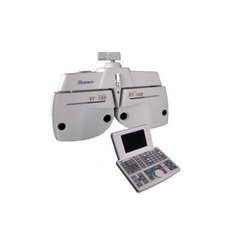 Leading Manufacturer of manual view tester, drill machine, supra groover, view tester, artificial eye and remote drum with two remote from New Delhi. 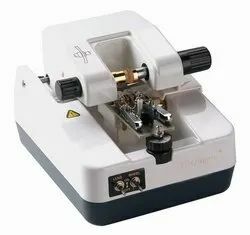 Manual View Tester is distinguished by its high accuracy, wide measuring range, simplicity of operation & above all it is a really portable instrument operating on three pencil cells of size. we provide high quality tester to our clients. The measuring data of the digital refraction can also be printed by the instrument if the digital refraction has the data-output function. 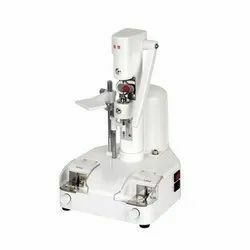 This machine is multi – functional special – purpose equipment for perforation and grooving of rimless frame it is most applicable to CR lens and PC lens to erforate and groove Opposing taper drill bits system allow holes to be drilled simutanuousely avoids chipping and breaking of all lenses, especially those made of glass. After hole drilled, placed the lens funder reamer and lifted up wards to be enlarged to desired size. The adjustable groove – cutting devices can get accurate depth of groove cutting. Ø Non corrosive machine body. Ø No water system required. Ø Accurate on all profiles. Being a well established organization, we bring forth an excellent assortment of View Tester. Our provided tester is manufactured by our skilled professionals utilizing quality approved raw material and advanced technology. 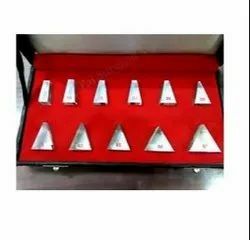 It is is distinguished by its high accuracy, wide measuring range, simplicity of operation & above all it is a really portable instrument operating on three pencil cells of size. Our offered tester is widely appreciated by our prestigious clients for its precise design and easy usage. 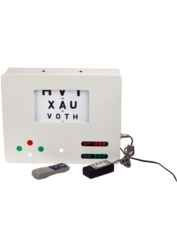 This tester can also be availed in various sizes, designs and other related specifications. With Sphere fast rotating disk, enabling the rapid adjustment of 3.00m-1. The unique Cross Cylinder design, convenient and flexible. 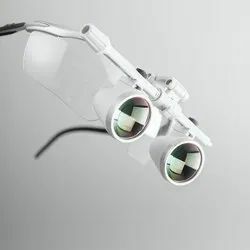 Can be easily used to measure near visual acuity. The artificial eye is fitted replaced the lost volume of the socket and to restore natural appearance and movement. It is fitted after enucleation of the anterior segment or ocular evisceration .It is made of acrylic and it can withstand time , climate or any other element that could after the eye. It also readily adapts adapts itself to the temperature of the socket. · To maintain shape and the movement of the eyelid and for cosmetic purposes. · To retain the tone of faical muscles and to prevent alteration of features. · To prevent foreign bodies from entering the ocular cavity. · To prevent accumulation of fluid in the cavity and to direct secretions to proper channels. Available sizes: Right and Left eye; 20mm, 22mm, 24mm, 26mm & 28mm. · Drum is strong with metal body wall type. 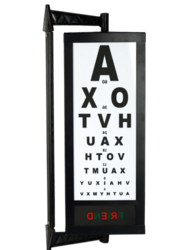 · It is internally printed according to snellen chart. · Available in all Indian languages for 3 meters with the following tests. 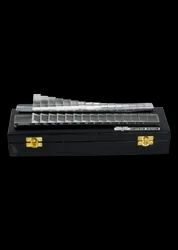 · Vertical Prism Bar:- With 1/2/3/4/5/6/8/10/12/14/16/18/20/25D. · Box comprising a horizontal and a vertical prism bar. · Electrically operated from 6 meters distance with the automatic switch.